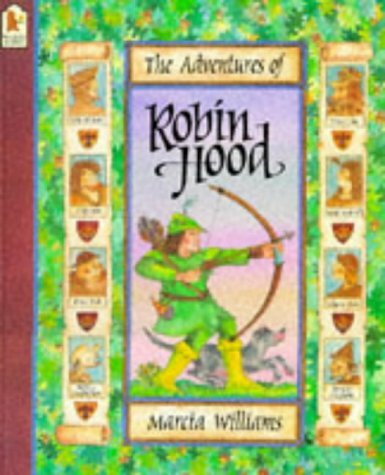 A very large format picture book which recounts in cartoon strip style the major events in the life and death of Robin Hood and his band. The treatment is light and humorous, with radiantly good goodies and pantomimic baddies, but the historically authentic brutality of the times is not trivialised. This would be a good companion volume to weightier accounts by Sutcliff or Trease. My only reservation lies with the rather cramped arrangement of print under the strips, where erratic line breaks produce a sometimes staccato effect.